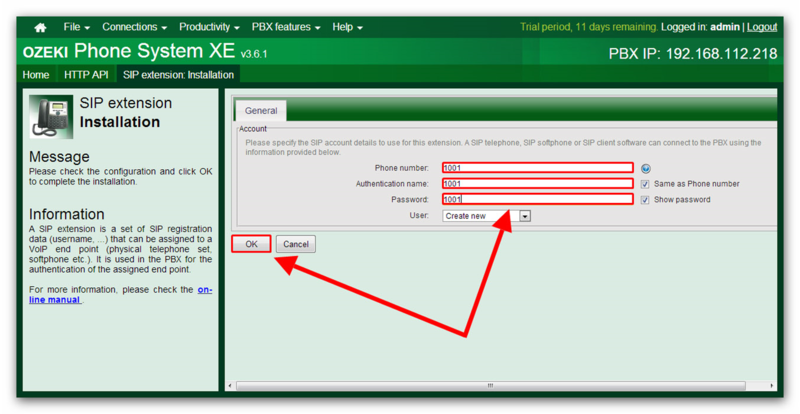 This guide shows you how to create an extension on OZEKI Phone System XE. The extension can be used with Ozeki 10. Before you start to configure this solution it is assumed that you have already installed your Phone System XE. Once it is started in your browser, enter as an administrator. Provide your user name and password in the respective fields (Figure 1). 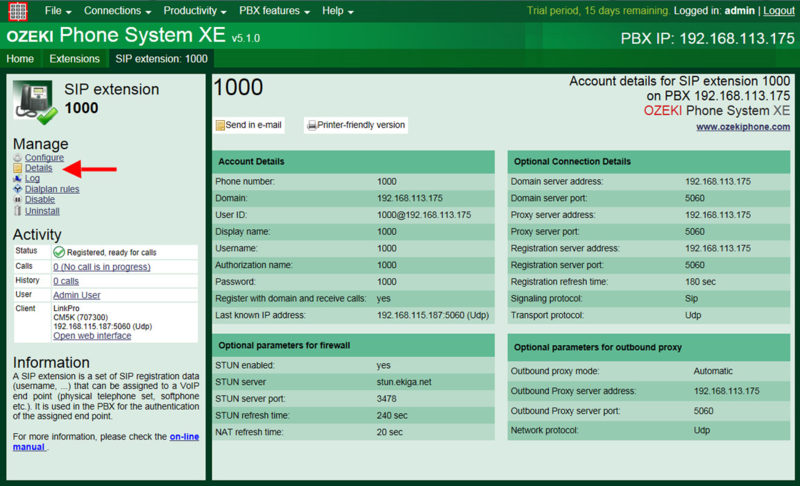 In the main page of the Ozeki Phone System XE, click on the 'Install new' button at the Extensions panel (Figure 2). Now the whole Extensions panel can be seen. Find 'SIP extension' in the Standard Extensions section then click on the 'Install' button (Figure 3). User: You need to assign this SIP Extension to a user. Under the Details menu you can get further information about this SIP extension (Figure 5).